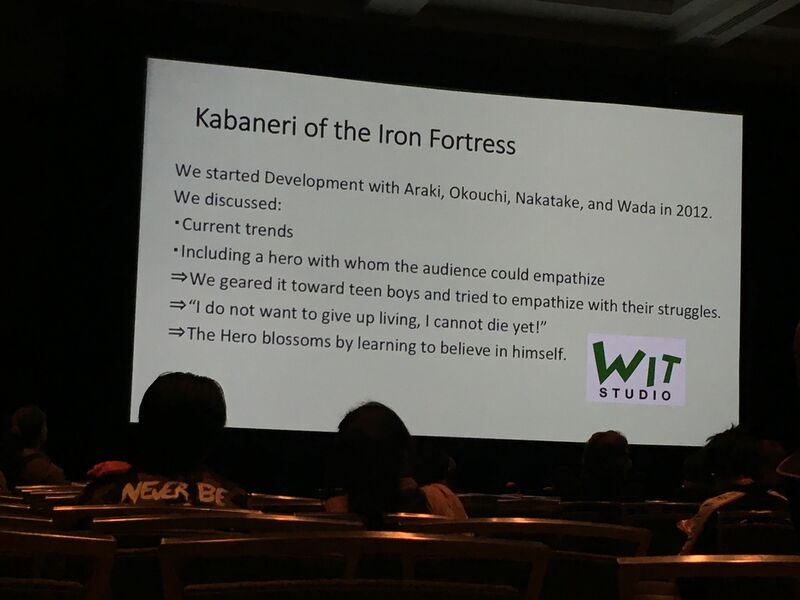 WIT Studio has been prominent at Sakura-Con for a few years, with big titles like Attack on Titan and Seraph of the End. I was curious to see what they had in store for their future. Last year’s push on The Rolling Girls was a visual delight, but ultimately an overall failure for me in regards to storytelling. They also repeatedly promoted Seraph of the End, which was visually appealing, but utterly lacking in most other aspects for both its seasons. I was in that series solely for one character, who ended up changing for the worst by the end of the most recent series. WIT Studio’s founder and president, Joji Wada, opened the panel and opted to speak English on his own while a translator stood by. 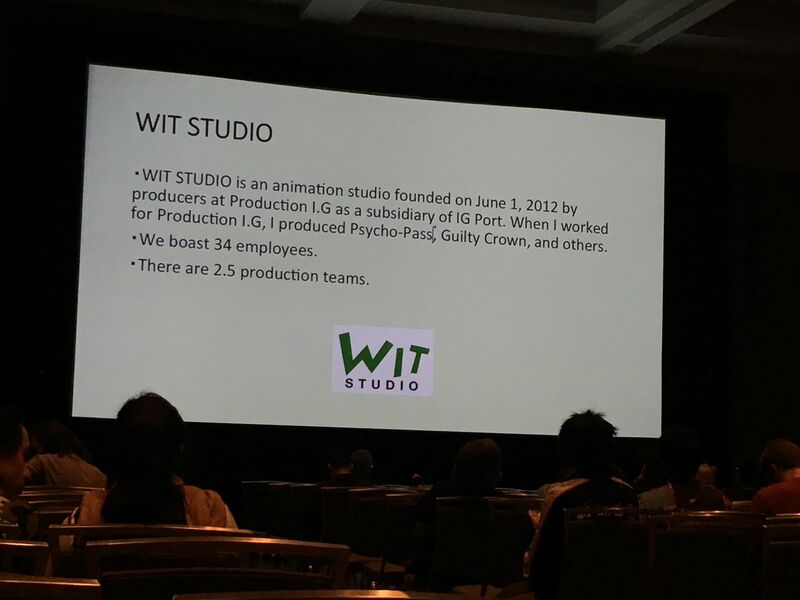 What followed were several slides on the big screen, detailing information about the studio and their upcoming schedule. 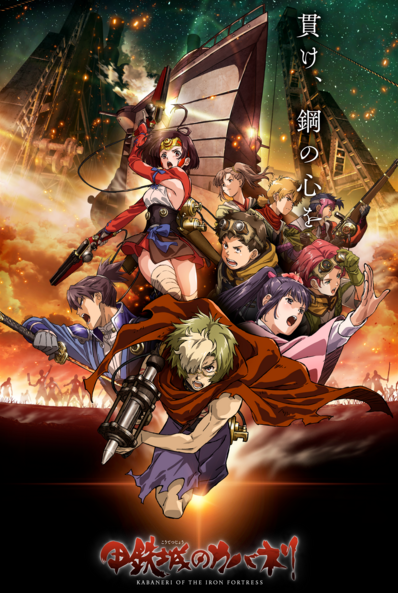 Promotional videos were shown for Kabaneri the Iron Fortress, which scarily includes much of the same staff from Guilty Crown, as well as for The Ancient Magus’ Bride. 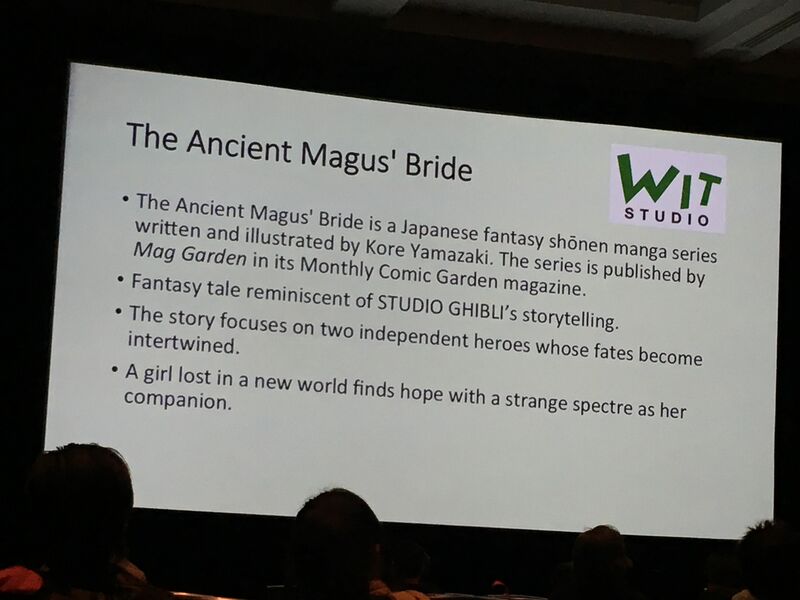 While Kabaneri looks like a ridiculous romp of fun, I’m more interested in The Ancient Magus’ Bride with its dark fantasy setting. Q: How did you come to the decision to have old-school character designs in Kabaneri? A: We thought our favorite anime from the 80s would look amazing if reborn with modern technology. I think for people from the modern era who are used to modern art, this will be shocking with a rich design. I hope it will be striking and to your liking. Q: As head of WIT Studio, what is one of your favorite parts in general in the anime industry? A: I think my favorite thing in the industry is the ability to take many creative works and turn them into anime. We are not Disney. We really take each original creator’s vision and try to reflect it and make it real. Q: Given your short staff list, I assume the second season of Attack on Titan will be a long time in coming? A: The guys are in the room working on Titan right now. Please be patient. Q: What made you decide to take the company in the direction of teen action? A: I think part of it was the success of Attack and Seraph. We want to increase the audience for animation and bring it a new audience. Q: How big of an influence do you think classic mecha had on Attack on Titan? A: Tetsurou Araki was a big fan of Gundam. When he worked on Titan, I think that was reflected. Q: Where do you get the name “WIT Studio”? A: Three letters from founders: Wada, Ishikawa, and Tetsuya. Q: Regarding Hideaki Anno’s comment on the future of the anime industry ending in five to twenty years: what’s your comment on that? A: The future of the animation industry is bright. 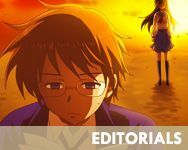 This is because through various ways and means, animation is spreading. 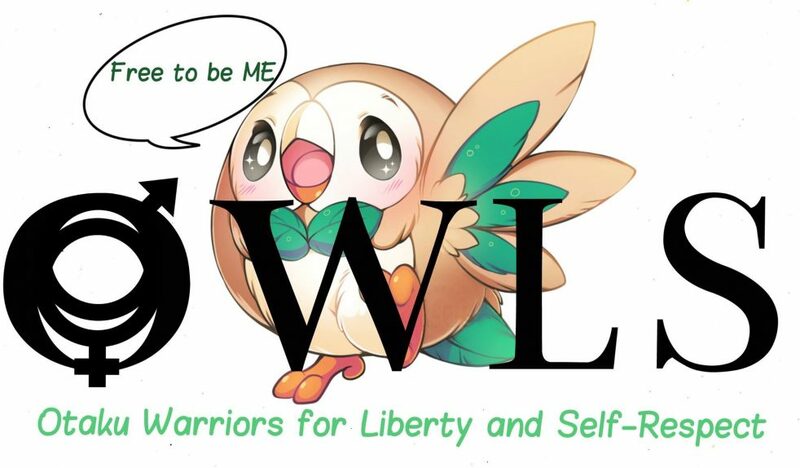 I think many new creations will rise and overcome many barriers to the acceptance of anime. Q: You have a small production company, yet you put out well produced and high quality shows relatively in quick succession. How do you do that? Strenuous hours? Outsourcing? A: When you look at the people working on these projects, these people really love what they’re doing. I think that’s how we achieve such high quality. We’re really not working that much overtime. Q: What is your favorite part of having a work like The Ancient Magus’ Bride? A: I think the creation of the fantasy world and being in it, and adding the music, is what makes everyone so happy to work on that product and work. 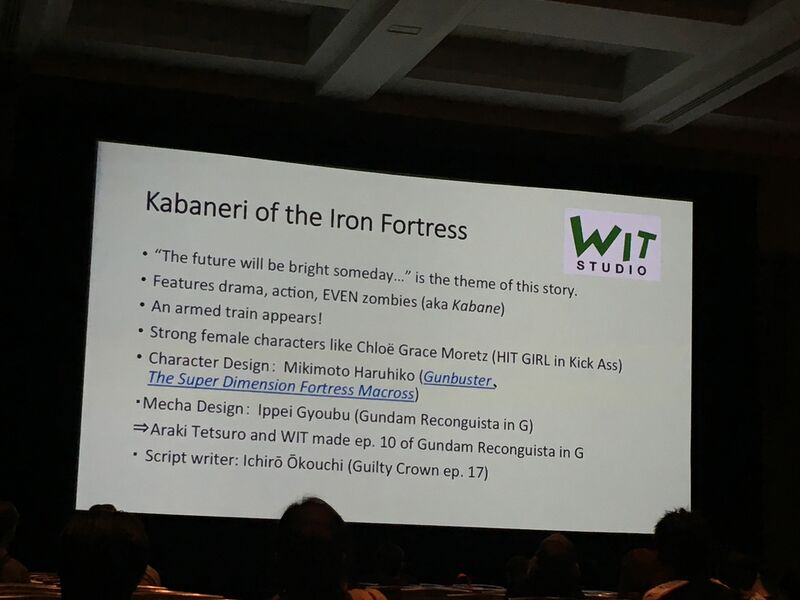 Q: Do you think that Kabaneri will be as successful as Attack? 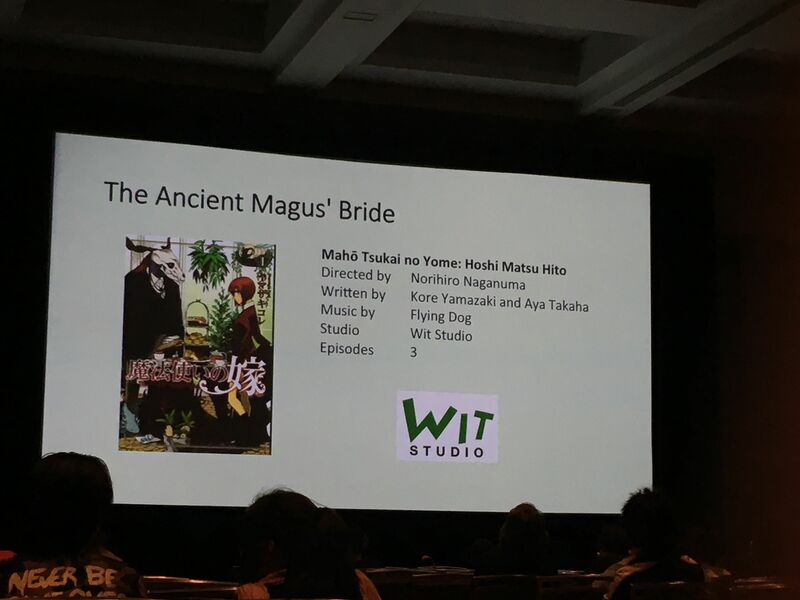 Q: Looking at The Ancient Magus’ Bride, which you compared to Ghibli, I know many Ghibli movies are considered”healing shows.” Will there be more like Studio Ghibli focused on nature or old fashioned themes? A: Yes, when creating these works in Japan, nature is a key element that keeps coming up and will continue to be featured in WIT works. Q: How do you feel WIT Studio differs from most other animation companies? A: What makes WIT so unique is the fact that we met the original creator of Attack and work with original creators is uniquely WIT. I think that it’s thanks to luck and chance and opportunities like that that we’ve become the WIT we are today. 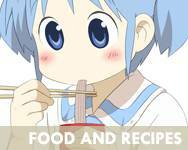 Q: If you could adapt any manga or your favorite anime, what would it be? A: If I answer it here, it will get picked up by the news and media. Let’s talk separately. Q: It seems like movies today take way longer to come out than television series. Why is that? A: It’s not because we’re not trying. It’s because there’s a defined industry period between release inside Japan and outside of Japan. Q: For Seraph, what made you decide to go with the painted backgrounds instead of the more recently popular backgrounds? A: So, tomorrow, we have a panel on Seraph. I hope to see you there! All your questions will be answered. Q: Shirobako last year gave some behind the scenes looks [at the anime industry]. Do you have your own stories to tell? A: There’s no girl actually that cute in the real world! But it is a really good work. I know, right!? They had it on the schedule for 2016, but that’s always subject to change since they didn’t promise anything.